I have updated three articles I wrote some time ago so that they can be considered reviews instead of previews now. The articles in question are Sorcerer's Way Through Baldur's Gate II (Part II), Sorcerer's Way Through Baldur's Gate II (Part III) and Adventure in the Heart of Winter (Part I). All of these can be accessed from the Articles subsection; the link to it can be found on the main link panel on the front page. The Fantasy Books part of the site has been updated a bit. One new book has been added to the Miscellaneous Books subsection (Bored of the Rings) and two to the Forgotten Realms Books subsection (Baldur's Gate II: Throne of Bhaal and Neverwinter Nights: An Anthology). The box cover for Throne of Bhaal has been replaced with the official one, and a link to pre-order it at Amazon.co.uk has been added as well. You can notice these changes in the main Games section. By popular demand, I have added links through which you can purchase the official strategy guides for all the games we cover. You will notice this new addition in all Walkthroughs & Guides subsections for each game. The Hints for Playing Torment list has been updated with some stuff I dug up from my archives. You can read both of these in the Tips, Tricks & Hints subsection. Two walkthroughs/guides have been updated; namely Daniel Herfield's and The Complete Guide & Walkthrough to PS: T. You can download the newest versions in the Walkthroughs & Guides subsection. Anyway, some of you might find it interesting, if only for a nostalgia trip. Thanks to Blackthorne for editing it. As you suspected, you can get it from the Miscellanea subsection. The Heart of Winter walkthrough you can find in the Walkthroughs & Guides subsection has been updated substantially, so go grab the latest version if you are still playing it. On a side note, I have zipped the updates for the official Heart of Winter guide from Sybex and posted it below the guide cover on the same page. One new and one updated store guide can be found in the Tips, Tricks & Hints subsection. The previously posted Heart of Winter store items guide has been updated, and the Icewind Dale one is brand new. While I was looking for those official strategy guides I spotted that Sybex posted a nice Icewind Dale wallpaper on their website. It shows the races of the Realms and makes a nice background. You can download it in two sizes from the Miscellanea subsection. The Complete BGII FAQ & Walkthrough that can be found in the Walkthroughs & Guides subsection has been updated. Don't forget to check my Throne of Bhaal features list found on the same page; it has been updated too. A small addition has been made to our Cheats List. Now it also lists how you can check the progress of your romance. I have changed the color scheme on the page a bit so it will be easier to navigate now. You can access the list from the Tips, Tricks & Hints subsection. Two new player characters that have been submitted to us have been made available for download in the Editors, Hacks & Cap Removers subsection. I have split the main Miscellanea subsection in two parts and added a ton of goodies for you. Some game music, a screensaver, two new trailers posted a few days ago etc. From the same section you can access an article called Magic in Pool of Radiance II which surprisingly enough describes just that. It also comes with 5 cool-looking screenshots. One new Dragonlance book has been added; namely Dragons of a Lost Star, the sequel to Dragons of a Fallen Sun. There is also a sample chapter of it available for download. Three new Forgotten Realms books were also added. First is The Summoning, the first novel taking into account the 3rd edition D&D rules and happenings. We also have a sample chapter of it available for download. The next two books are The Magehound and The Floodgate, both by Elaine Cunningham. A sample chapter is available for The Floodgate. The official patch for Heart of Winter has been released recently. I have added it to the Miscellanea subsection along with a txt file describing all the bug fixes that were made. There is quite a number of them, so be sure to download the patch if you haven't already. A few minor additions have been made to my extensive Throne of Bhaal features list. You can find the list in the Walkthroughs & Guides subsection. An edited log of the Throne of Bhaal chat at IGN has been prepared just for you. In case you couldn't attend the chat, download the chat log from the Miscellanea subsection. Second, I am proud to present you with the largest (to my knowledge) Neverwinter Nights Screenshots Gallery available online. To date, there are 127 unique screenshots on display in it. I still have tons of other NWN stuff like wallpapers, art and so on but that will have to wait till the next update. Until then, feast you eyes on the beautiful screenshots. There has been some confusion regarding the Friendly Arm Inn (our official chatroom), and the other one listed in the Chatrooms subsection. Since we have completely abandoned the old EFnet channel by now, I decided to remove it from the list. That should clear things up a bit. Two new additions to the 3rd Edition D&D Books subsection were made. First is a new guidebook to clerics and paladins called Defenders of the Faith (pre-order), and the second the Forgotten Realms Interactive Atlas, which is a very cool product and a must for any serious FR player or DM. As always, your support in the form of purchases through the links at Sorcerer's Place is much appreciated. Our game store store has been updated again. Amazon.com and Amazon.co.uk now both have a Icewind Dale & Heart of Winter double pack available for purchasing. In case you do not have these games yet, make sure to get this cool bundle, it is definitely worth the money. Thanks to Erran, our AORTA guildmaster we now have a nicely laid out section dedicated to "finding" out where in the Forgotten Realms your character hails from. This will undoubtedly be very helpful to anyone who is putting together an application for any of the online Neverwinter Nights worlds like ALFA for example. Two versions of the document are available. You can either view it online in full, or download both tables as Excel spreadsheets. Check them out in the Forgotten Realms subsection. There is a new version of the Heart of Winter walkthrough I have made available for download in the last update. You can download it from the Walkthroughs & Guides subsection. A while ago one of the members of our message boards expressed frustration at not being able to find more hankies required in one segment of the game after he dumped them all. I don't quite remember if we found a better solution to the problem than reloading, but I did a little digging and found out that the items list for TormentHack has been updated with the very same item codes - for hankies among others. So if you find yourself stuck with the same problem, make sure to download TormentHack from the Editors, Hacks & Cap Removers subsection. With it you can replace any of the items in your inventory with a hankie for example. Deborah Norris has let me know that there is an updated version of her Baldur's Gate 2 desktop theme available. Several little things about it have been fixed, such as: the code errors experienced by Windows 95 users, a My Documents theme association, black background behind "Baldur's Gate II" title in wallpaper has been filled, etc. Get the newest version of the theme from the Miscellanea subsection. As usual, I have made another huge update to my Throne of Bhaal features list. If you are interested in the upcoming expansion, checking it out is a must. You can find the list in the Walkthroughs & Guides subsection. On a similar note, Interplay has finally put together a Frequently Asked Questions (FAQ) list for Throne of Bhaal. There is not much news there for anyone who has read my ToB features list, but you might find it informative all the same. The FAQ can be found in the Tips, Tricks & Hints subsection. Anyway, the portraits can be found in the Editors, Hacks & Cap Removers subsection. Download them and see if they fit your style. We have updated out AORTA guild roster with new members. In case you are wondering, we are up to 12 members already. If you want to find out more, surf over to the AORTA guild pages. The latest version of NWMap, a freeware graphical tile-based mapping and module design utility has been added to the Miscellanea subsection. NWMap has been substantially improved over the previous version, so be sure to get this latest installment. Our Fantasy Books section has certainly grown substantially with today's update. By popular demand I have added two brand new book sections, one for Terry Pratchett's books, and one for Robert Jordan's. Currently their last novels are only available in hardcover editions, but check back regularly as I will replace them with paperback versions as soon as they become available. Both Pratchett and Jordan are excellent writers and I am sure you will enjoy their books. So next time you plan on buying any of their books from Amazon, please do so at Sorcerer's Place and support us! Side note: Two new manuals were added to the 3rd Edition D&D Books subsection. The About Us section has been updated as well. It now reflects the fact that the newest member of the Sorcerer's Place Team - Darien - has earned herself the position of Daily News Editor. Thanks to her, Sorcerer's Place is now the prime website to get daily (a)d&d gaming news from, as well as the biggest resource for the games we cover. Bravo Darien! After a short period of inactivity in this subsection of the site, the magic man (heh) returns with a number of interesting new additions. First of all is the updated (and final) version of the Heart of Winter features document I started putting together a couple of months ago. It now contains everything that was actually implemented in the game and no more rumours and guesses. Kudos to the guy on our message boards who reminded me that this needed to be done. Another addition in the same Walkthroughs & Guides subsection is a sparkling new Heart of Winter walkthrough. Also updated were a bunch of cheat pages (one for the original IWD and a new one for HoW), plus I added another pdf file with cheats for Heart of Winter. To top it all, there is a list of all the new merchants the expansion adds, and what kind of things they sell. You can find all this useful stuff in the Tips, Tricks & Hints subsection. The last updated subsection is the Editors, Hacks & Cap Removers. Here I have added a new Icewind Dale trainer. If cheating your way through the game is what you prefer, then do so in style! Finally, the reason for the delay of today's update. I would have had this whole update up on Saturday, but making (and uploading) a 250 screenshots gallery of Baldur's Gate 2 is not exactly a small task. But all that is behind us now, and the final product of hours of labour is now online for you to enjoy. The gallery details my entire path through the game, from beginning to Irenicus' bitter end. The second important update here is the Throne of Bhaal features list which can be found in the Walkthroughs & Guides subsection. I have added some more known info about it and tweaked some of the wording from the last update. Basics of Armor, Armor Class and Shields in BG1 and BG2 is a quick guide that was submitted to us and is available in the same subsection. After an extensive spelling check, a bit of translation and some error fixing on my part, it now makes a useful guide which will enlighten a casual reader as to what AC is and how it is calculated. The latest new scriptwork from Kalthorine is "Happy Group", a hack that completely disables the game's incompatibility between good/evil NPCs. Well, not completely, but enough that they will not leave the group because of it, or even worse, kill another NPC. Get this much sought-after hack in the Editors, Hacks & Cap Removers subsection. A small update was made here. There is a new page about the Secret Societies in Myth Drannor up for reading in the Miscellanea subsection. Does the name "Cult of the Dragon" ring a bell? There were no actual updates made in this section, I have merely fixed the broken Screenshots link on all pages. Not that it makes much difference, since there aren't any there to see yet. However, now that this big update is finished, I am pretty sure I will be able to put together a big NWN screenshots gallery for the next update, so stay tuned for more goodness, as usual. I have added a short explanation of the book ordering process to the recommended fantasy books section. Hopefully this will clarify things a bit since some people have been asking me what the best way to order books from Sorcerer's Place is. It has been a while since I announced here that you can also buy all of the games we cover from Sorcerer's Place, so here goes. I have updated our game store and it now has all titles listed, although you can currently pre-order Throne of Bhaal and Neverwinter Nights only from Amazon.com. Since all of these games are released a bit later in Europe, I will update the page when Amazon.co.uk makes them available too. Thanks to Rakanishu (a regular on our message boards), we now have the full text of the Unbroken Circle of Zerthimon available online. It makes for a fine read, especially for anyone who likes the Planescape setting. You will find this gem in the Tips, Tricks & Hints subsection. There are two new additions in this neck of the frozen tundra today. The first is an updated version of Dan Simpson's Icewind Dale walkthrough. It now also includes a complete Heart of Winter walkthrough, so if you are looking for one you can download, this is it. Get it from the Walkthroughs & Guides subsection. The second is a collection of 6 pre-made Icewind Dale characters you can import into your game and play with. Thanks to Piotyr for letting us have them. If you want them too, get them from the Editors, Hacks & Custom Characters subsection. Rhys Hess has sent us another edition of his Baldur's Gate 2 Story. This time we present you with the counterpart to the previously posted Good Side story. Anyone interested in the evil path through the game might find this an interesting read. Next we have two more walkthroughs for the game. One is of the online sort and still unfinished, but was added by request. The second is the updated version of the most detailed downloadable walkthrough available. And finally, there is an updated version of the Throne of Bhaal Features I have started putting together a while ago. Check it out, a lot more content has been added. As you probably suspected, you can find all of the above in the Walkthroughs & Guides subsection. I have added the edited chat log from the recent HoW chat held at Gamespy Arcade. It is a pretty interesting read and can be found in the Miscellanea subsection. There are quite a number of new additions here. Same as I did with the Icewind Dale expansion, I have compiled an interesting list of features the Baldur's Gate 2 expansion, Throne of Bhaal, will offer. The list will be continuously updated, so check it regularly. Last but not least, Balthazar has provided us with a soundset of the WWF champion The Rock. You will also find a pre-made half-orc character going by the same name in the zip. Erran, our AORTA guildmaster sent me a listing of all current members of the guild, and I promptly inserted it into our AORTA guildpages. Check out the AORTA guildpages to see who you will be battling with. It seems we are a bit short on warriors and rogues, so if you think you meet out criteria, apply ASAP! An interesting Neverwinter Nights chat was held at IGN Vault a few days ago. Our resident wizard Blackthorne logged it and sent me an edited log which is now available in the Miscellanea subsection. I have also corrected it a bit where spelling was the worst. The log is chock full of interesting details so if you missed it originally, it is imperative that you read it now. If you are interested in the game, of course. Which you are, otherwise you wouldn't be reading this, right? I am sure it will come in handy to a lot of people who are still (or again) playing the game. You can access the guide from the Walkthroughs & Guides subsection. Heart of Winter is out, and even though it hardly requires a walkthrough to be solved (or better, hack 'n slashed through :), our ex Exclusive Solutions Scribe Sylvus has prepared one at his site. Check out our Walkthroughs & Guides subsection for the link. Our AORTA Guildpages have been updated again. This time we have a new, fancier version of the guild badge up, a new art on top of the page and a few changes to the text on the page. Of course, we are still accepting new members and if you are interested, read the guild info and, if you meet our requirements, apply! Not much new stuff around here. After a bit of link checking in the Related Links subsection I have found out that all of the sites I link to are still up & running, so no dead link removal this time. The only change in this update is the inclusion of a site banner for home of the ALFA Skullport Neverwinter Nights server. There's a lot more new stuff in this section than usual. I have been going through my old HD backups and found some nifty stuff. I made my old notes about the NPCs into one cool Baldur's Gate NPCs guide if I say so myself. Two new additions were also made to the Editors, Hacks & Cap Removers subsection. Look out for a new trainer and a permanent experience cap remover. Finally, there are two new guides/walkthroughs in the main Baldur's Gate subsection. One is for Baldur's Gate, and the other for Tales of the Sword Coast expansion. My NPC guide mentioned above was also added to this subsection. The amount of new additions here is a bit smaller. I have added another game guide to the main Icewind Dale subsection, and a support page for Heart of Winter expansion to the Tips, Tricks & Hints subsection. Coincidentally, if you have any questions or problems regarding the expansion, feel free to use our Icewind Dale & HoW forum. Only one addition here, namely a new game guide in the Walkthroughs & Guides subsection. I have also put together something special for this section in today's update. Remember my guide to kits I posted ages ago, before the game was even released? It is about time I replaced it with an updated version, so I've gathered info about all the kits (and new classes) as they were actually implemented in the game and made it into a new guide to kits. The old version of the Sorcerer's Guide to Kits has been left in tact, and you may still refer to it if you wish, since it does have some additional info I left out in the new guide. You can access both of them from the Walkthroughs & Guides subsection. You will also find another new game guide there. A spell list (Excel spreadsheet) with all wizard & priest spells has been submitted to us, and has been added to the Tips, Tricks & Hints subsection. It has been a while since I made any updates in this section, so I've got a couple of new things on display now. The Miscellanea subsection has been updated with 3 new additions. First is the History of Myth Drannor which I compiled a while ago but totally forgot to include there. The other two are Gods in Pool of Radiance and Major Adventure Sites in Pool of Radiance. Both are very interesting reads (MAS also packs 3 screenshots) and should give you a bit more info about the upcoming 3rd edition D&D CRPG. A small update was made here, namely to the Related links subsection. I have added another fansite, plus a news site with an animated banner. Some rather important modifications were made to the About Us subsection as well. I have added bios of Erran and Blackthorne, latest members of the Sorcerer's Place Team and changed Syl's status to retired, since he won't be working with us anymore. Thought the Other Recommended Books section was going to stay so poorly decorated forever? Wrong. I spent a few hours looking for some great books and added a bunch of new ones. A big thanks to the guy who recommended Gemmell's books to me. By the way, those Harry Potter books aren't there for no reason. Just out of curiosity, I decided to read one and I must say I have been impressed. Rowling is an exceptional storyteller, and I highly recommend her books. I have come up with a surprising amount of new additions to this part of the site. For starters, four new walkthroughs and guides were added to the main subsection. A significant addition was also made to the Tips, Tricks & Hints subsection. I have updated the list of tricks there, added a huge list of all creatures from the game, plus an extensive guide dealing with NPCs. All that's missing is a spray paint can so I could make a colorful BG's NOT DEAD graffiti somewhere. Another huge chunk of NPC quotes were submitted to me by Rasmus, so I added them all to our Planescape: Torment NPC quotes list. I have updated the Heart of Winter features list, plus added updated versions of all downloadable walkthroughs. As usual, the biggest bunch of new additions was made to this game section. Starting with the main Walkthroughs & Guides subsection, there you will be able to find an excellent new walkthrough, a very interesting class FAQ and an AD&D rules FAQ, explaining the ins and outs of 2nd edition D&D. Moving on to the Tips, Tricks & Hints subsection where two old item lists were removed and replaced with a new, much better one. As per custom, I have also updated my Humongous List of Cheats and added a ton of monsters for your creating pleasure. Next is the Editors, Hacks & Caps Removers subsection. I have added 5 new interesting custom kits you can use in your game. I still don't know who the author is, so if anyone has a clue, please drop me a note. By popular demand (OK, in all this time, I got 1 request to put it up), I have also added Jon Irenicus' portrait you will definitely want to use in your game. I have added another NPC romances hack similar to the old one, but this one should work with the patched game as well. Polygamy at it's finest. Last new additions here are four new soundsets. I don't know when we started specializing in those, but the fact is, altogether we now have 34 voice packs available for download. It's nuts, especially since all of them are very good, so deciding which one to pick is becoming increasingly difficult. Anyway, the 4 new soundset are: 2 of Guybrush Threepwood (cool), one of Murray, The Talking Demonic Skull (best soundset EVER), and a huge 19 MB file containing soundsets of all NPCs from Baldur's Gate 2, a highly requested item. These were all obtained from FilePlanet, but I'm doing everyone here a big favor by offering them for download, since getting anything off FilePlanet is a ni.phpare. Honestly, FilePlanet gives the words "seriously overloaded servers" an entirely new meaning. Erran has been busy working on our AORTA Guildpages, and it shows. The entire section has been made anew and I think it looks and feels much better than before. Slowly, but surely, we're getting there. A slightly smaller update today. Rasmus Wichmann has been busy hunting for more Planescape: Torment NPC quotes, so the list has been updated with some more fresh ones. We have also received a submission to the Baldur's Gate 1 - Editors, Hacks & Cap Removers section. Chris has sent us Ajantis, who is normally an in-game NPC but in this case he has been recreated to be playable as your main character. Ajantis also comes with a soundset, so check him out. Rhys Hess, whom some of you will recognize from his excellent work on the Planescape: Torment stories, has been kind enough to provide us with his newest piece of work - a Baldur's Gate 2 (Good Side) Story. This is the first part of his work (he is also compiling a story based on the dark side, i.e. evil path through the game). He thought it would be worthwhile to recreate the game's story in written form, in the game's own words. All of the dialogue was taken almost unchanged directly from the game itself, as well as some of the other material. In order to create a full story, he did have to invent a lead character, as well as pick a particular path through the game. He is assuming you have already played the game itself, but you might want to read this to experience the story again, or to hear from characters you chose not to include in your party. I've been working on this part of the site for a few hours and I managed to add a pile of new books to our lists. As an added bonus there are now a couple of sample chapters (pdf) for books in most subsections. New books were added to the Forgotten Realms, Planescape, Dragonlance, Manuals and Other book subsections. The Related Links list has been updated. A dead link was removed and a new customization website was added to the Fansites part of the page. I've added a cool little Icewind Dale: Heart of winter Flash game the folks at Interplay have released to the Icewind Dale - Miscellanea subsection. Believe it or not, there are few new additions to the Planescape: Torment - Tips, Tricks & Hints subsection. Namely, a bunch of new NPC quotes have been submitted to us, so check out the updated Quotes list and send us some more, if you have them. We've got enough of Morte for a while, so a couple more from other NPCs would be welcome. Not to forget the Neverwinter Nights subsection, there is something new there as well. I've added the NWMap, a mapping and module design utility which should help out all DMs-to-be to plan ahead some of their NWN campaigns. Head over to Neverwinter Nights - Miscellanea page to download it. I am proud to present yet another fine addition to our website, this one being of significant value to many Neverwinter Nights adventurers-to-be. We will be hosting a NWN player guild run by Erran (whom some of you might recognize from our message boards). He has been eager to run such a project for some time, so having him on our team was a must. If you are interested in joining us, make sure you check out the AORTA pages in the Neverwinter Nights game section. The whole NWN section has been updated, so from now on finding the AORTA guildpages will not be a problem. The entire Baldur's Gate II game section, including every single kit description html of my Guide to All Things Factional and the entire Baldur's Gate II Online Solution. I've also performed a word by word grammar and spelling check on it, which took me about 10 hours for the whole thing. The whole thing is incredibly time consuming, but at least I feel better now, knowing that everything I've fixed will load properly and fast now. The only thing left to fix now are the 60 htmls in the Forgotten Realms History part of the Fantasy Worlds section, which will be fixed with the next update. After a considerable amount of effort, the whole Icewind Dale game section and Neverwinter Nights game section have been fixed. All pages will load fast and smooth now. A bunch of other pages have been fixed as well, namely all of the ones that can be accessed through the central link panel below the title on the front page. More will follow shortly. There are two new books in the Fantasy Books section. The first is Legacy of the Drow, a collection of 4 Salvatore's novels about Drizzt joined into one huge tome with over 1000 pages. You can find it in the Fantasy Books - Forgotten Realms subsection. The other new literary addition is J.R.R. Tolkien: Artist & Illustrator. A very interesting book chock full of the master's own illustrations of the world he created. This one can be found in the Tolkien subsection. Earlier this week Amazon.com opened a page where you can order the official Icewind Dale expansion, Heart of Winter. As you probably know, Amazon is our one and only sponsor so if decide to (pre)order any of the games (or books) here, you will be doing us a great favor and enabling us to bring you even more content. If you are interested, head over to the Games section and browse the selection of games available. And for the last newsbit before heading over the the gaming subsections, there is a new FR history available at our Fantasy Worlds - Forgotten Realms subsection. It has come to my attention that the previous submitted history of Myth Drannor has come from an external source, so it was removed and replaced. Instead, I have collected a description of the city (and it's sister cities) and posted it along with a detailed chronological overview of the last few decades before the city fell prey to the invading Army of Darkness. The whole thing took quite some time to make, so I hope you will enjoy reading it. Starting with the original Baldur's Gate, the link to the download site for Dark Side of the Sword coast, the unofficial expansion from TeamBG has been updated. Get it from the Baldur's Gate - TeamBG Tools subsection. Planescape: Torment is next on the list. I have added the universal hint system file for the game to the Walkthroughs & Guides subsection, and another new editor and a trainer were added to the Editors, Hacks & Custom Characters subsection. The Icewind Dale - Walkthroughs & Guides subsection has also been updated. I have modified my Heart of Winter features list extensively by adding some new information regarding the expansion, removing some things that didn't make it into the expansion and adding a complete list of all new clerical, druid & mage spells available in HoW. Baldur's Gate II section has seen a bunch of new additions as well. 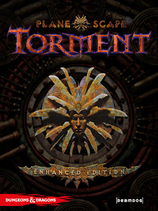 Another cool Planescape: Torment soundset has been added to the Baldur's Gate II - Editors, Hacks & Custom Characters subsection. This week we present Annah, everybody's favorite tiefling. Two new FAQs/walkthroughs have also found their way to the Baldur's Gate II - Walkthroughs & Guides subsection. The last two new BGII materials are an excellent items list and a reference listing all weapon styles/proficiencies and their attributes. You can find both of them in the Baldur's Gate II - Tips, Tricks & Hints subsection. To wrap things up, I have posted the updated version of the Neverwinter Nights Frequently Asked Questions. I compared it point by point to the old one, and I can testify that it has been more or less written totally anew, so give it a read for much has changed. As promised, I fixed a bunch more htmls to load much faster. Most major files in the Baldur's Gate II subsection have been fixed, and our chatroom as well. The entire Pool of Radiance: Ruins of Myth Drannor subsection is fixed too. I have made another scour of the web looking for things I might have missed, and guess what came up? A full list of all items, weapons, spells and more for Planescape: Torment. I also added a list of all movies in Torment which has been sitting on my HD for a while now. You can find both new additions in the PS:T/Tips, Tricks & Hints subsection. The updated version of the Pool of Radiance: RoMD FAQ is now up. A few more item codes were added to our extensive Baldur's Gate II Cheat List. I've also fixed two codes which were wrong and obsolete. Next new addition is the universal hint system file for Baldur's Gate II, which I placed in the Walkthroughs & Guides subsection. The UHS program is already included in the zip file. A list of Baldur's Gate II weapons, equipment and similar has been added to the Tips, Tricks & Hints subsection. It also contains item codes. And now to crown this update, a fan sent us two excellent sound sets for Baldur's Gate II. The voice packs are of Dak'kon and Vhailor, both NPCs from Planescape: Torment. They are of great quality and a recommended download for everyone. The author has promised us the rest of the Torment crew too, and I hope we get our hands of them soon. Meanwhile, get these first two from our Editors, Hacks & Custom Characters subsection. As some of you might have noticed the old chatroom client wasn't very stable, and now it has gone offline completely. I've set up an alternative which functions in the same way as the old one, with a few exceptions. I can't get rid of the picture it displays above the topic, nor can I remove the scrolling line which now displays news, stock quotes and such. Hehe, well it's totally useless really, but it'll have to do until the old one gets back online. If ever. Besides the fact that this new client loads significantly faster (one good thing about it) it supports avatar icons and small images, so I'm sure it will prove to be amusing to all the regulars. For all of you who don't know yet, you can access the Friendly Arm Inn here. Semi-official chat hours are around 8-12pm GMT, when most of the regulars come by and (of course) I try to attend as often as possible too. This has been going on for a while and I must apologize to all who weren't able to access some of our pages, but know that I'm FULLY (oh yes!) aware of this problem. Thanks to everybody who mailed me about this and expressed their frustration in so many imaginative ways that I never thought was possible. Thank God the flames were down to the minimum, at least. As I explained on the front page before, some pages might not load for some people at times, displaying only a black screen. Now, most people will only notice this as a slight delay in the loading time of the page, while the page will still show correctly (minus the ads), but for some people nothing will show at all. The ads running on the site that are causing all this havoc come from our gracious host which would do well to update their ad servers and fix the bloody scripts which have this amazing tendency to show as broken 3/4 of the times the site loads. I have noticed a slight improvement regarding all this fiasco, with some better ads coming up and even some fantasy-related stuff showing, which is definitely a good thing. However, it still happens (too often to my liking) that the ad area only shows as blank or that you have to reload the page simply because the ad script fails to load correctly. Therefor I started removing the offending ads from some of the most frequently visited sections on the site (namely the Games section). There is also a significant improvement on load times there, as you will notice. Currently the whole original Baldur's Gate section and some parts of the Baldur's Gate II section have already been cleaned up. I'm also updating and fixing some long-unnoticed errors in html there, so it might take me a while to get them all fixed, but rest assured that I'm working on it as fast as I can. The old ads are being replaced with my own, which I know load fast & correctly. You will notice that most of them are for Amazon, which is the only actual sponsor that pays us anything, provided you order something from them by clicking on their banners on the site, of course. So if you would like to support us and enable us to bring you even more cool stuff regularly, please order stuff from Amazon through any of the links on pages here. We also have a Fantasy Books section (also available from the main site menu buttons above) where you can order Amazon's books (or anything else) directly, since the links I've set up will take you right to the page about the book/manual etc. you are interested in.